Lately I’ve been exploring the devilish complexities of Medicare as I approach my 65th birthday and a time of change in my life (see end of this column). After a good deal of reading, I’ve come away wondering how anyone without good resources navigates this complex system. By all accounts, many people don’t. They run afoul of the confusing rules and make costly mistakes. Welcome to health care in America. From cradle to grave, we face a system that falls short in countless ways that are endlessly discussed, even as modern medicine saves lives every minute of every day. In this issue of Wesleyan magazine, we hear from alumni who are working to improve health care: in the physician’s examining room with Dr. Ron Epstein ’76; in writings about care at the end of life by Katy Butler ’71; or at the level of national policy as shaped by Sara Rosenbaum ’73. In our cover story, Professor Anthony Hatch suggests that we are overly reliant on medicine to solve some problems that have their origin in poverty and racism. Surely, we can do better. 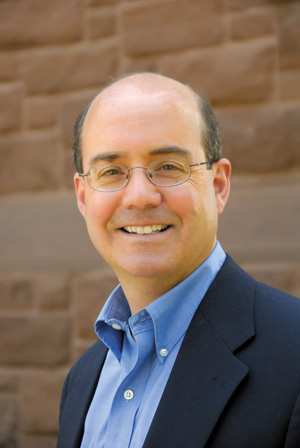 One of our contributors is Dr. Joseph Fins ’82. In my years of editing this magazine, I have never stopped being impressed by the sometimes surprising and always inspiring ways that our fellow alumni connect liberal learning to work that really matters in the world. You’d be hard-pressed to find a better example than Joe, who majored in the College of Letters. A distinguished physician and medical ethicist, he is an authority on traumatic brain injury and individuals who live in a minimally conscious state—distinct from having no conscious awareness. He is both expanding our knowledge of this frequently misdiagnosed condition and advocating for the civil rights of these patients, many of whom have been warehoused in nursing homes and deprived of any meaningful associations. What a tragic and moving story! On a personal note, this is my last editor’s column in Wesleyan magazine. I will retire at the end of June, and I’m pleased to say that our talented associate editor, Cynthia Rockwell, will take over as acting editor. Telling the story of Wesleyan and its worldwide community has been a great pleasure for which I will always be immensely grateful. I want to thank the thousands of alumni who have given their support, whether by participating in stories, contributing to class notes, or by being interested and critical readers. Wesleyan magazine is for you, and I hope you will continue to enjoy it.